Exceptional 2-unit building in superb location. Owner's unit is on the first floor & duplexes down. The building sits on an extra-wide double lot. Both units have been meticulously rehabbed and maintained with luxury finishes throughout. 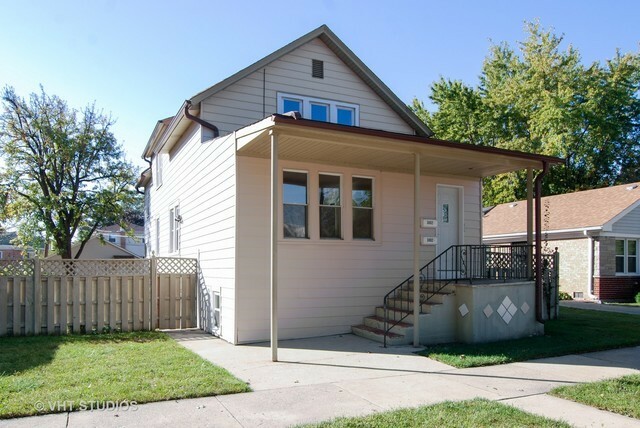 Owner's unit first floor duplex allows for added living space and includes a full 2nd bathroom, ideal for extra living space or extended family. Particularly well appointed everywhere from floor choices, trim choices, and recessed lighting. Custom kitchens with granite and higher end cabinetry and appliances. Lots of hardwood flooring, and ceramic floors in baths. Newer quality windows throughout and updated electric. Both units have their own central air and heat along with newer furnaces, condensers, and hot water heaters. Entire building offers copper plumbing. Huge Laundry Room. Two car garage plus parking for 2 cars outside equates to 4 car parking. Great income from 2nd floor unit. Exceptional back yard. Ideal location close to everything.